Wanuri Kahiu's Cannes Film Festival Official Selection RAFIKI is being heralded by Variety as "impossible not to celebrate." 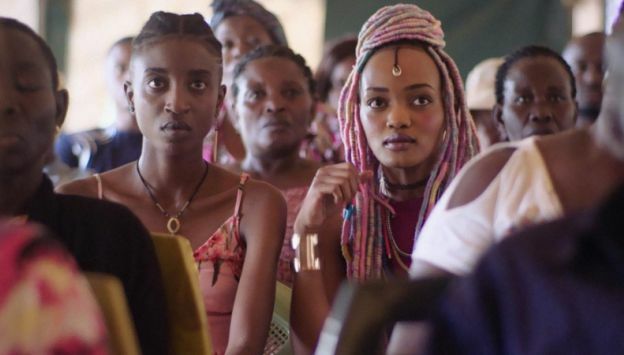 Bursting with the colorful street style and music of Nairobi’s vibrant youth culture, RAFIKI is a tender love story between two young women in a country that still criminalizes homosexuality. Kena and Ziki have long been told that “good Kenyan girls become good Kenyan wives” - but they yearn for something more. Despite the political rivalry between their families, the girls encourage each other to pursue their dreams in a conservative society. When love blossoms between them, Kena and Ziki must make the heartwrenching choice between happiness and safety.